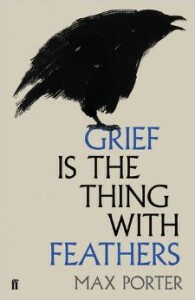 The Crow enters the family’s home soon after their loss, he is drawn to the pain and despair of their grief. The crow describes himself as sentimental but actually he encompasses many personalities - he is babysitter, healer, trickster. The crow is a brilliant character because he is there to help the family through their grief but he also represents what grief is, how insidious it is and how it affects everything; how you want it to go away so you can feel better and at the same time cling to it because you don’t know what it will mean when it’s gone or how you will be without it. This book is absolutely a 5 star read, I've already pre-ordered a copy to keep in my own collection and it will be going straight on to my favourites shelf!